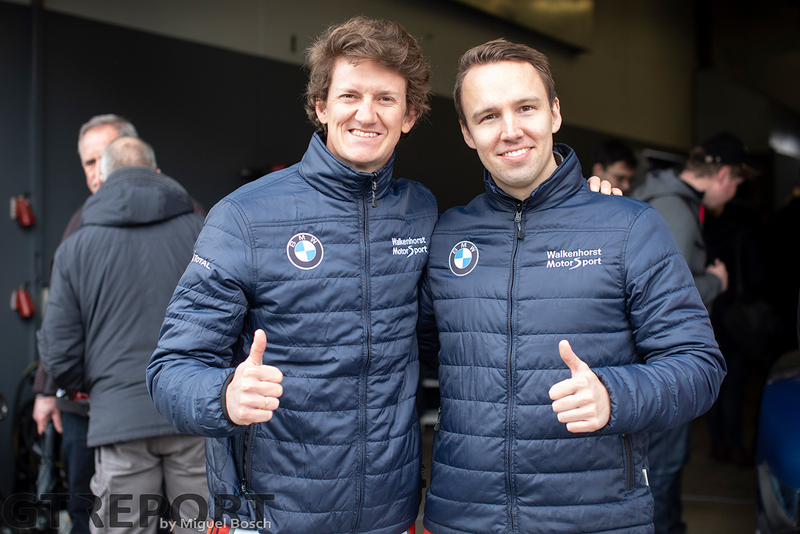 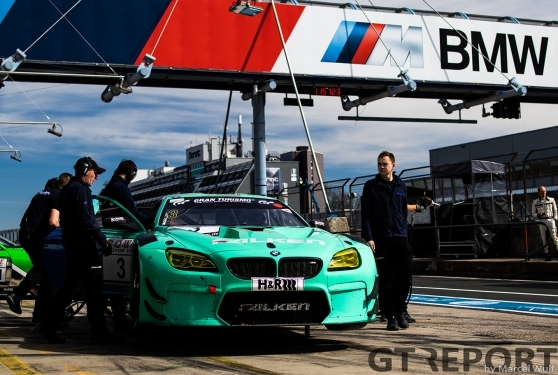 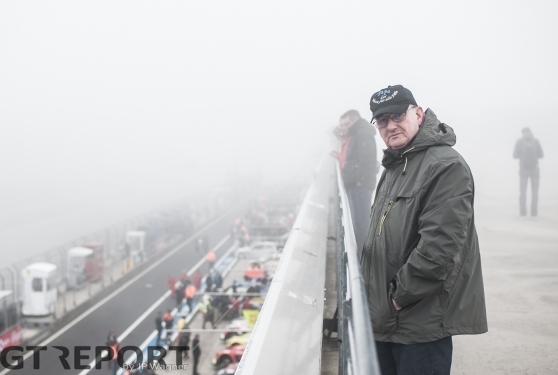 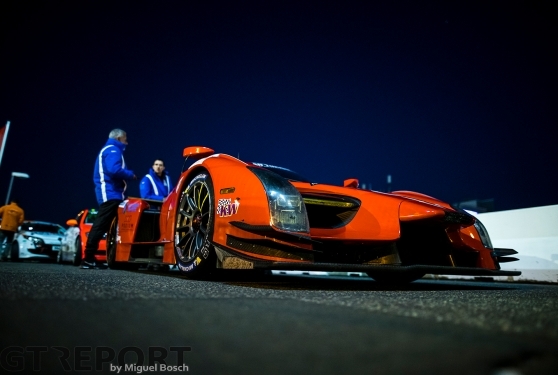 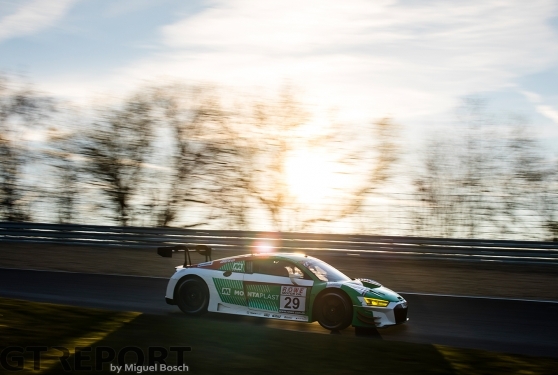 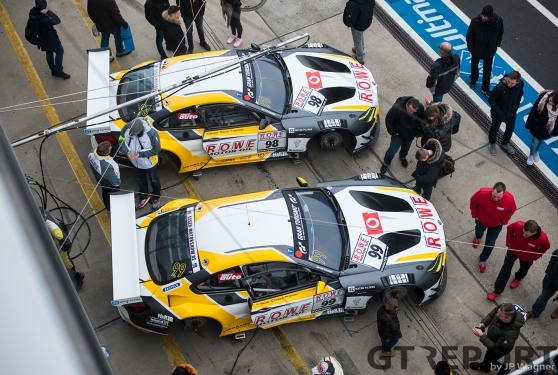 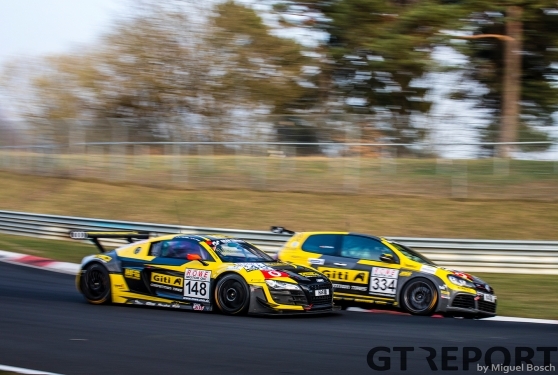 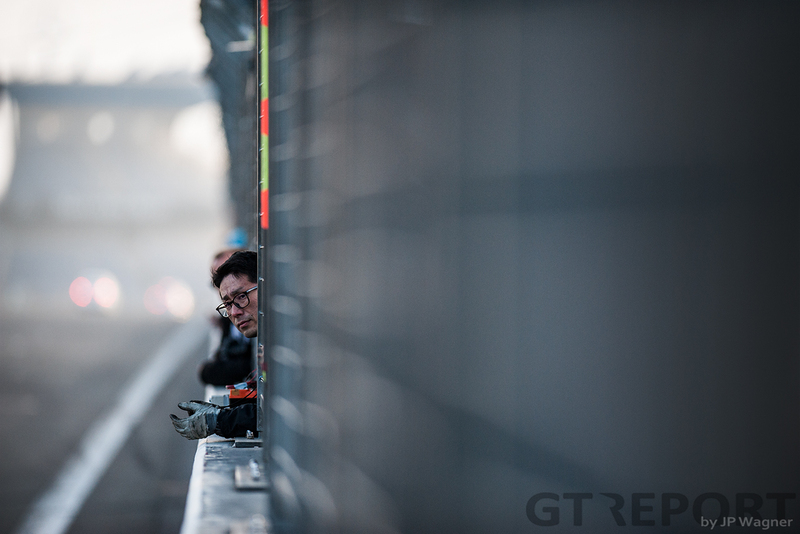 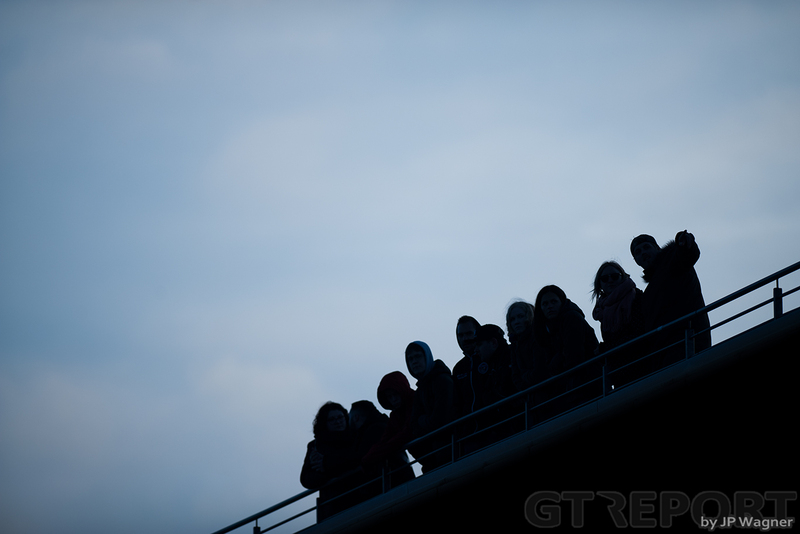 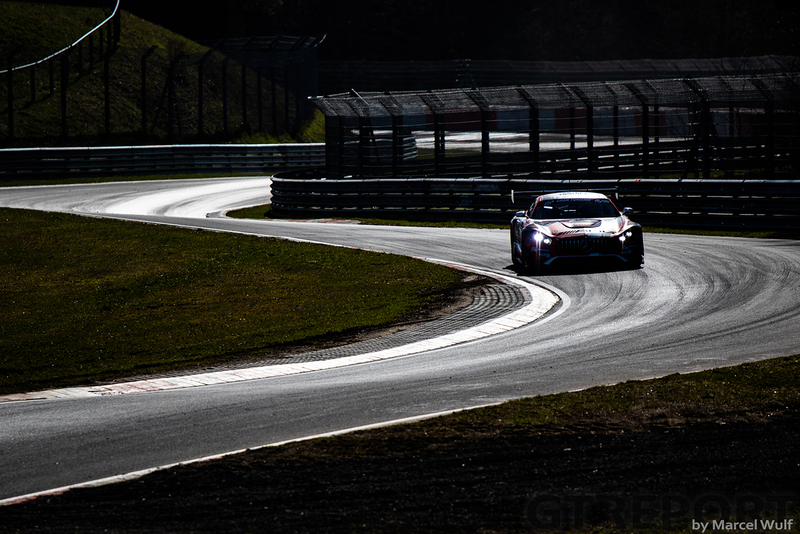 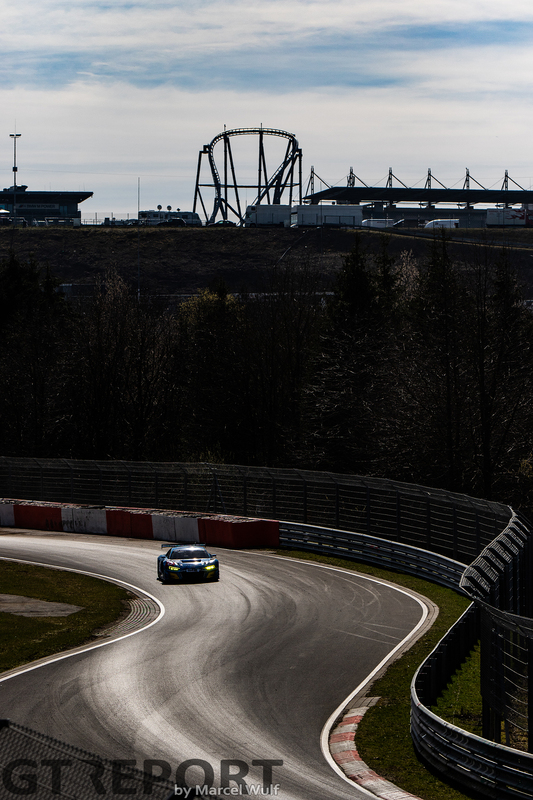 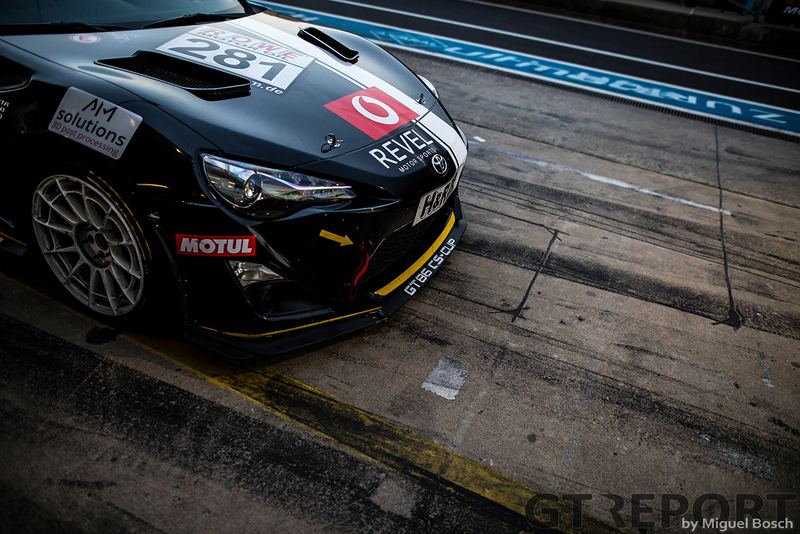 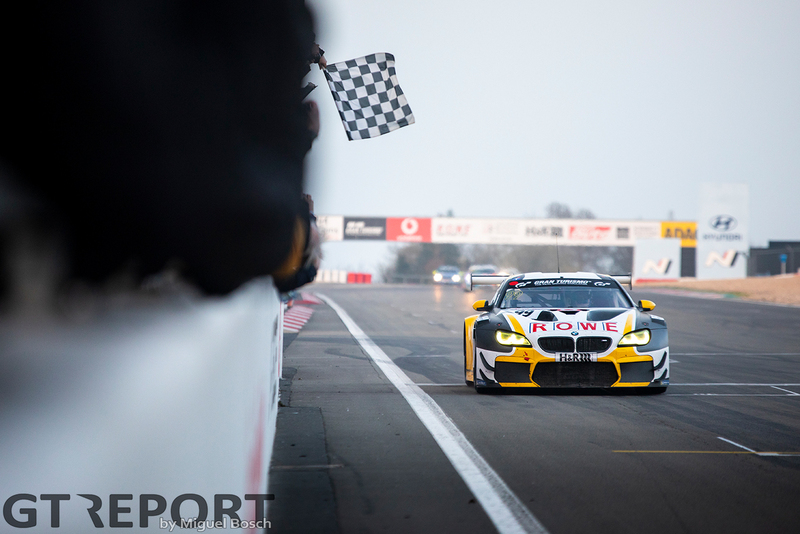 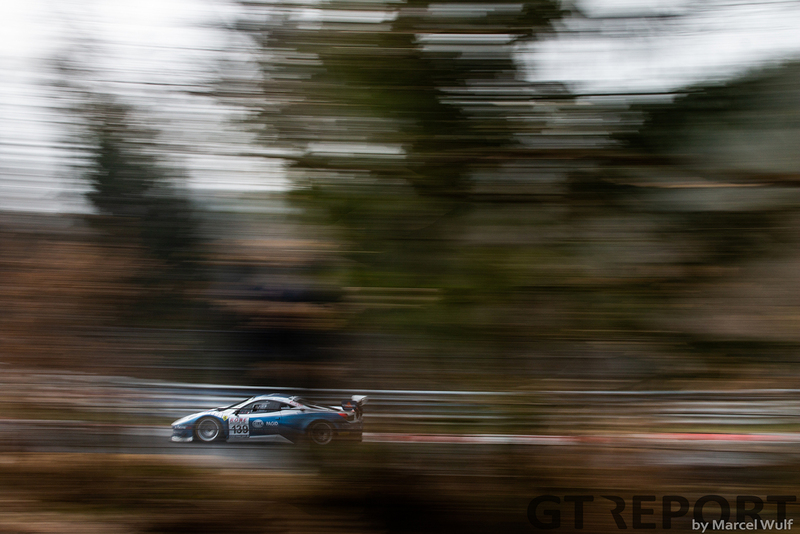 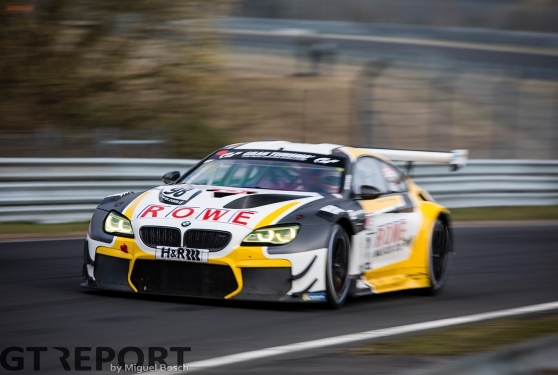 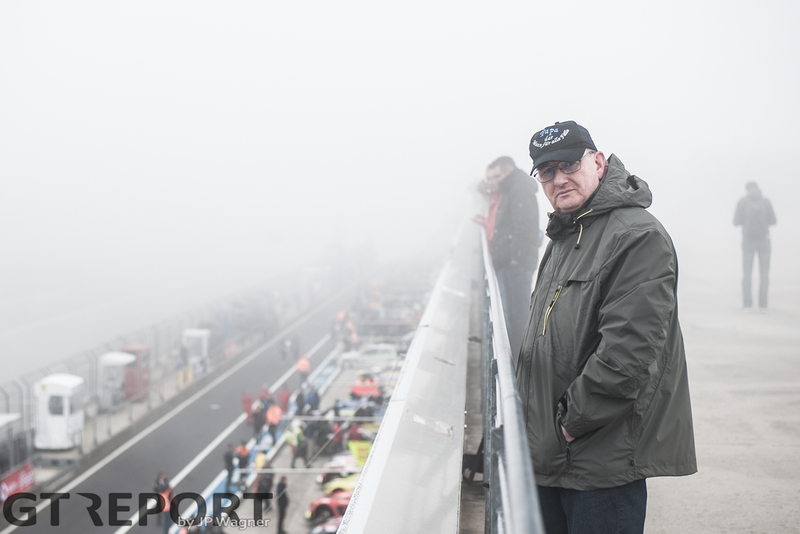 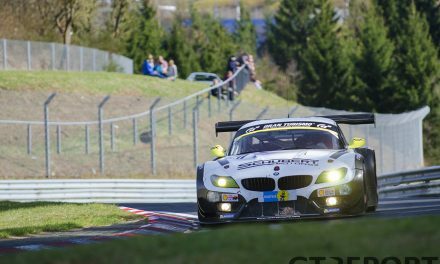 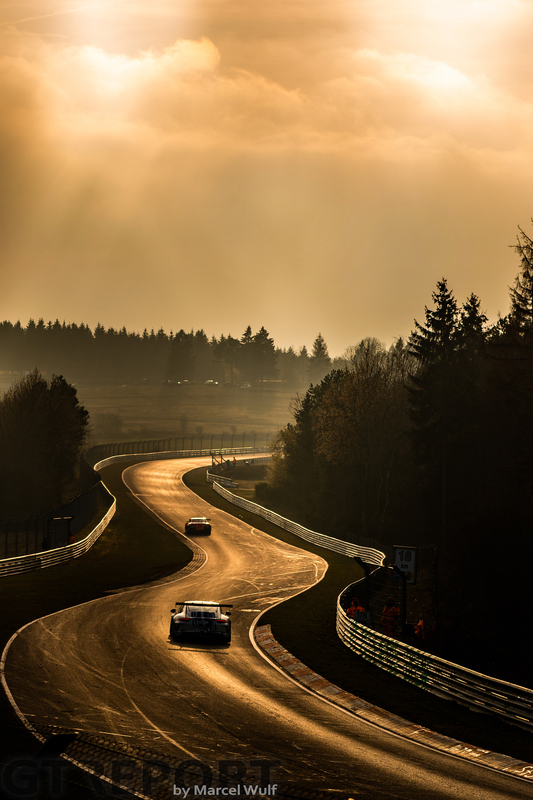 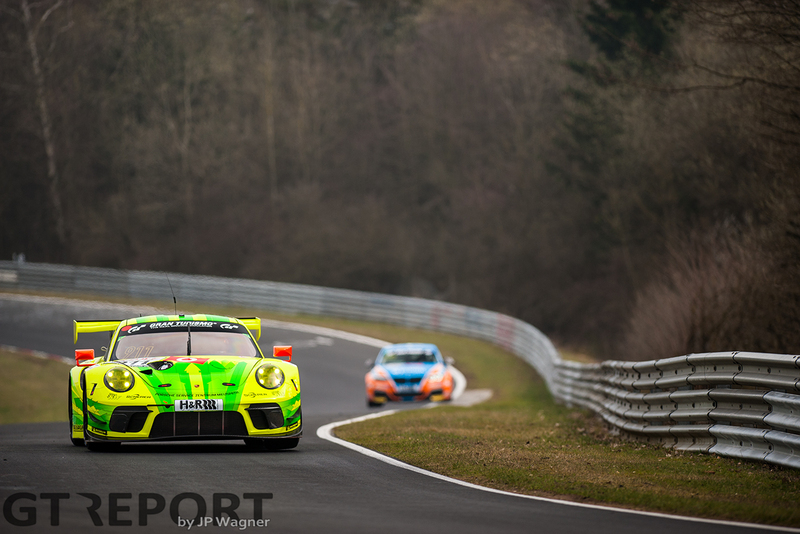 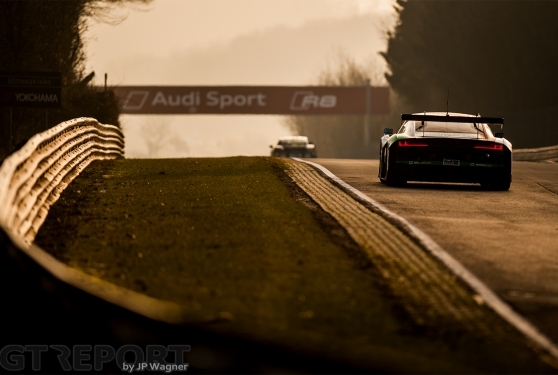 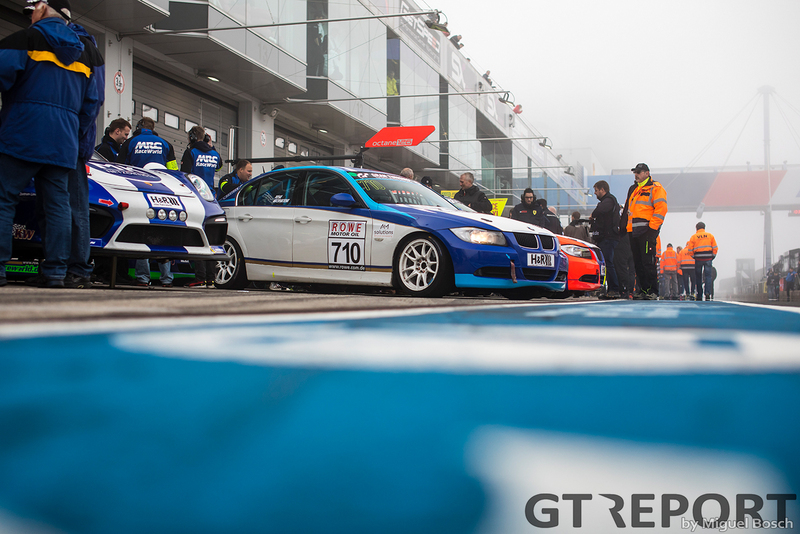 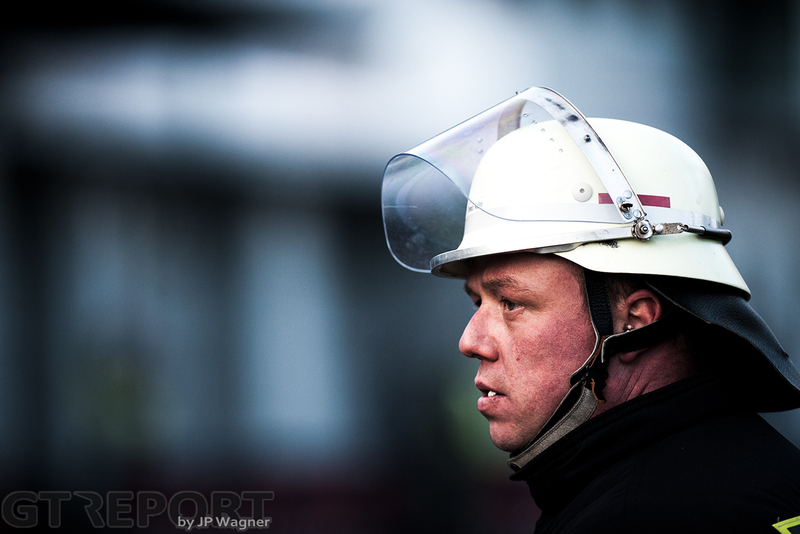 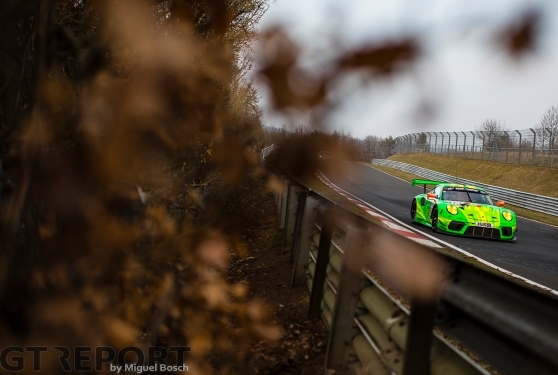 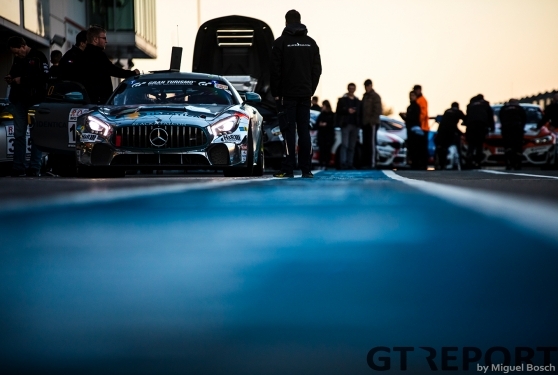 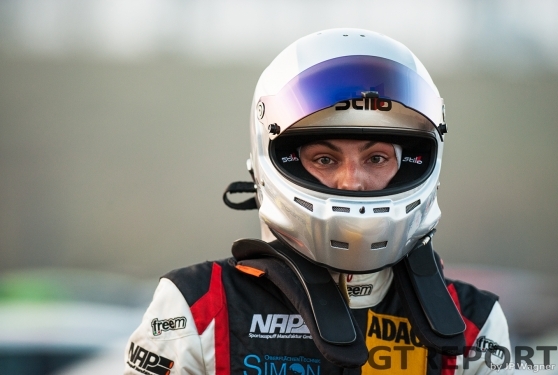 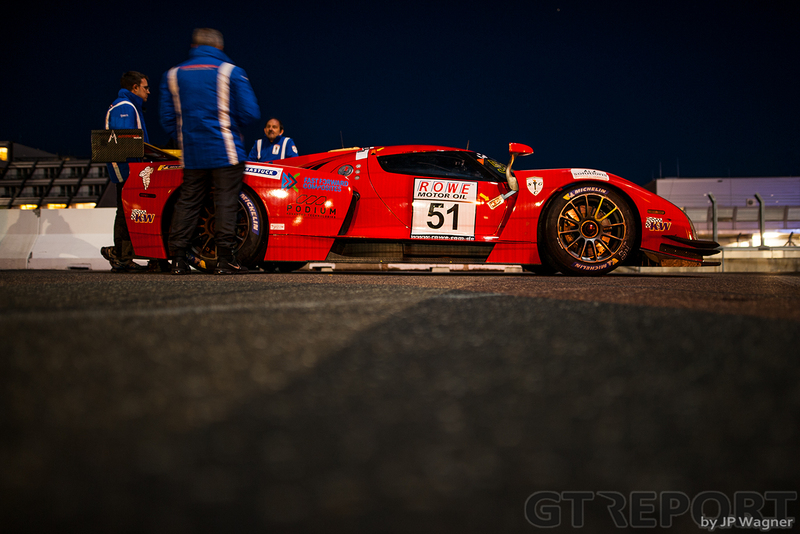 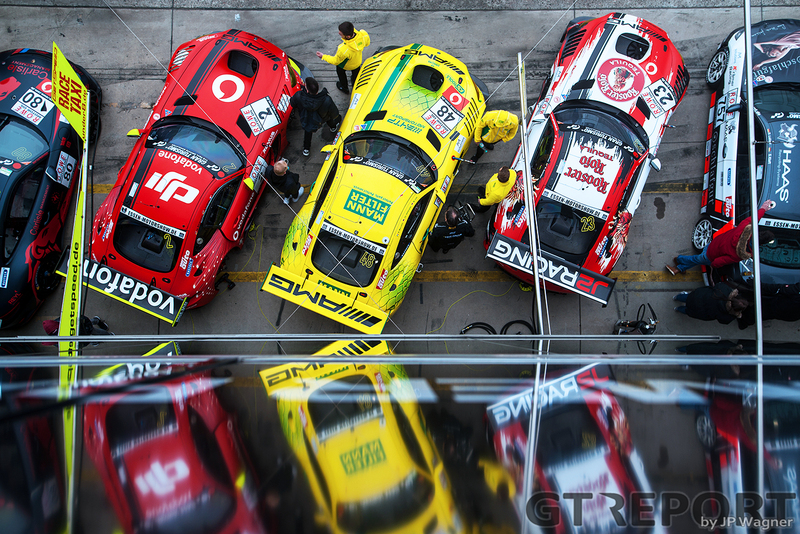 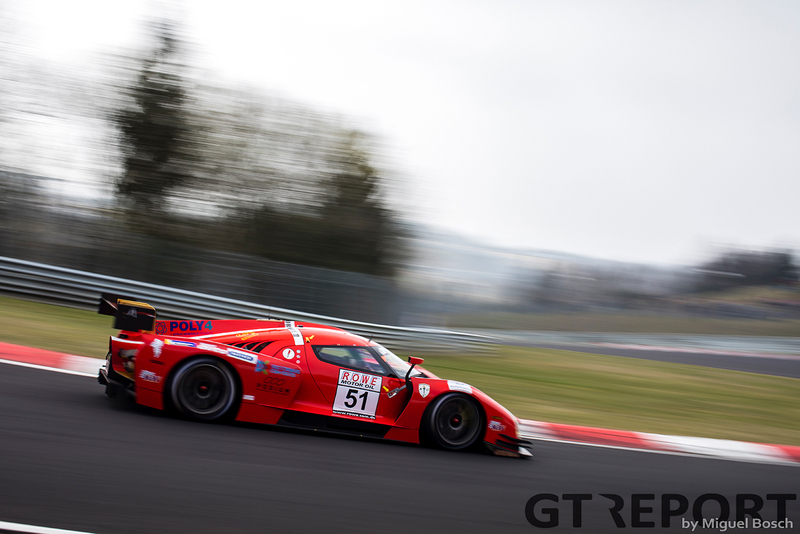 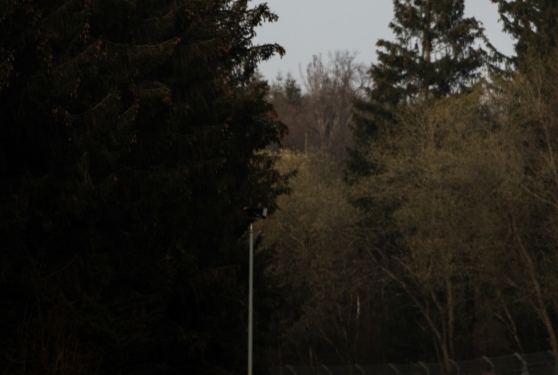 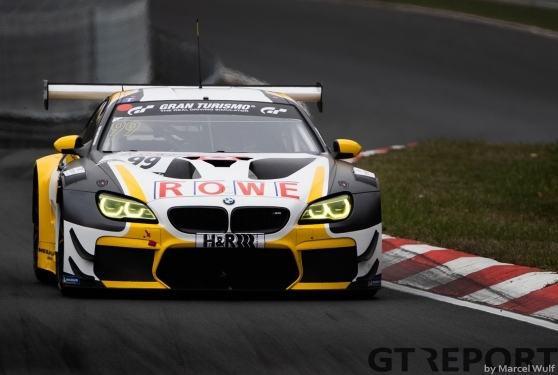 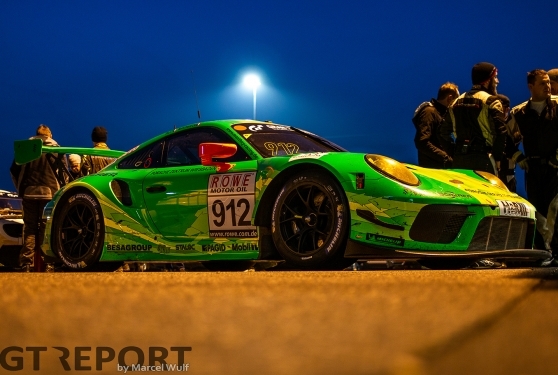 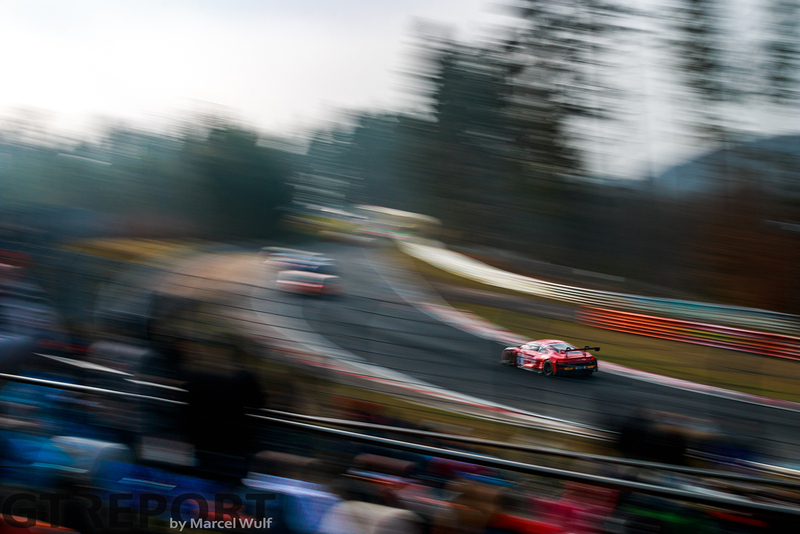 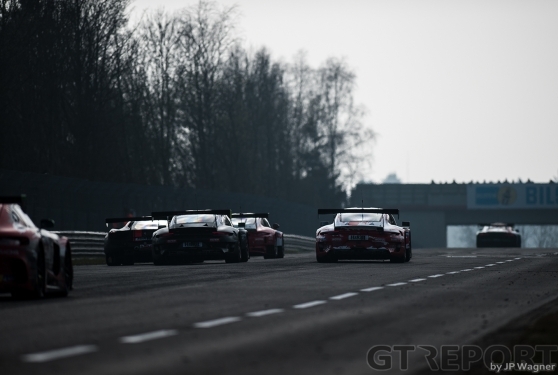 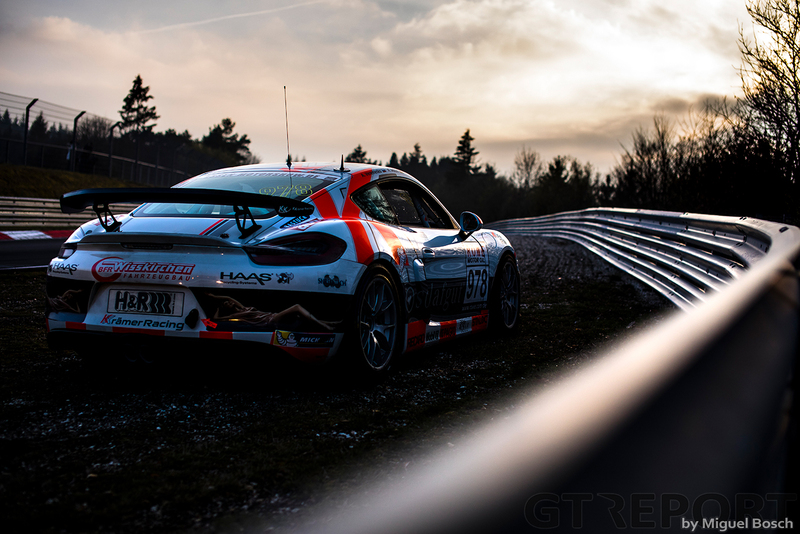 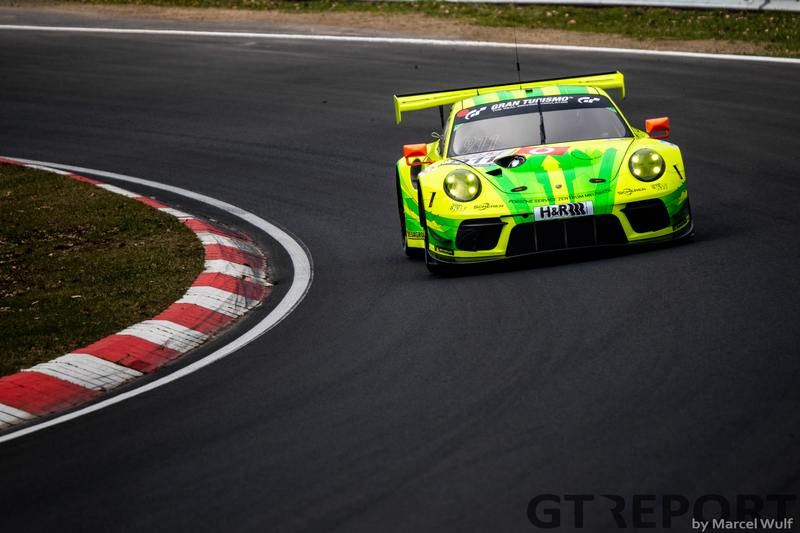 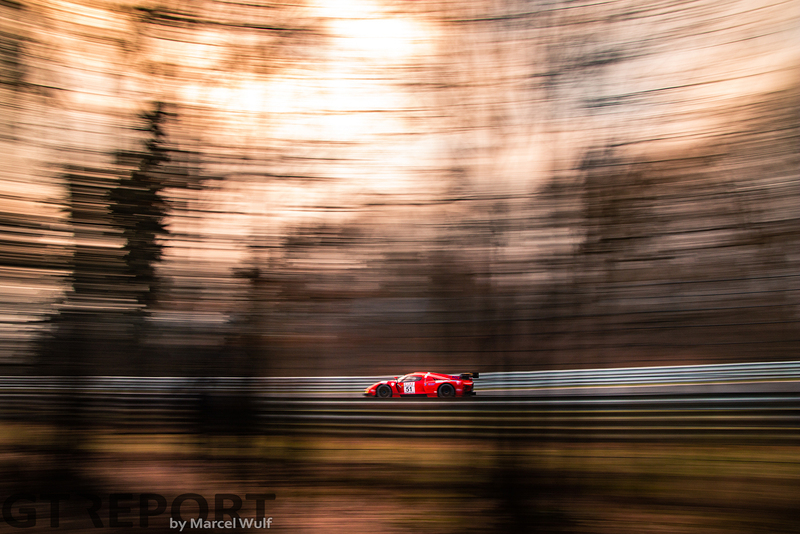 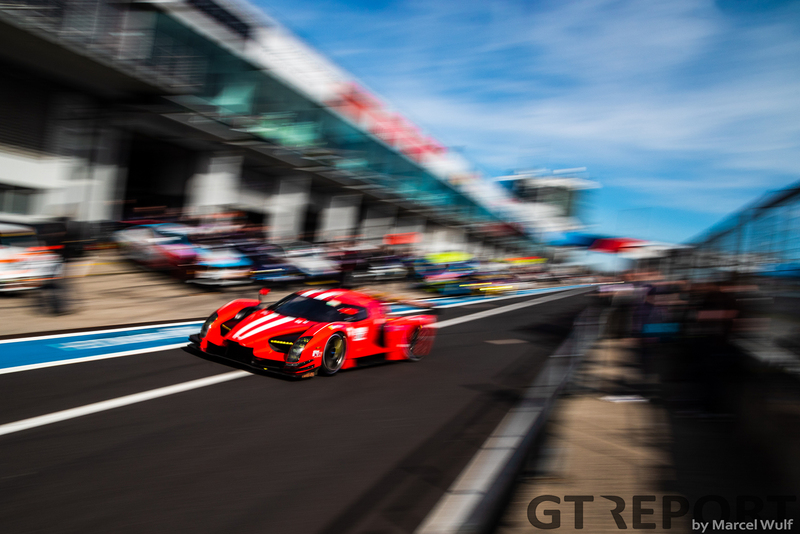 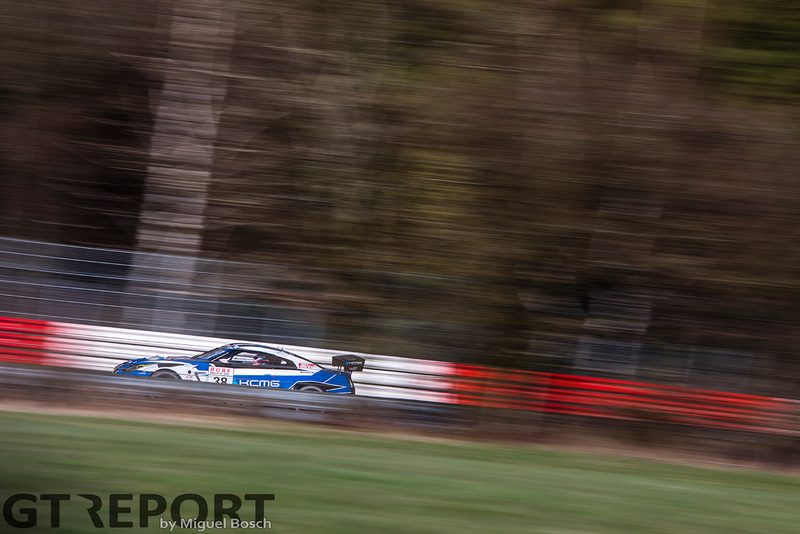 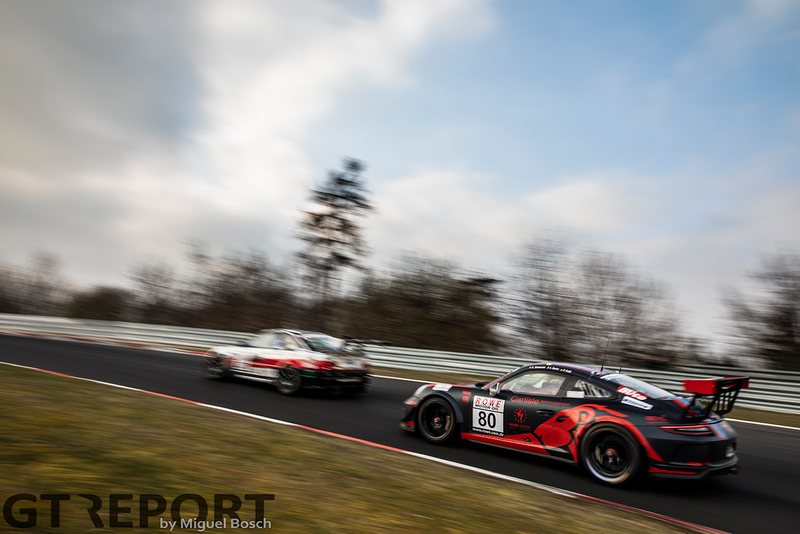 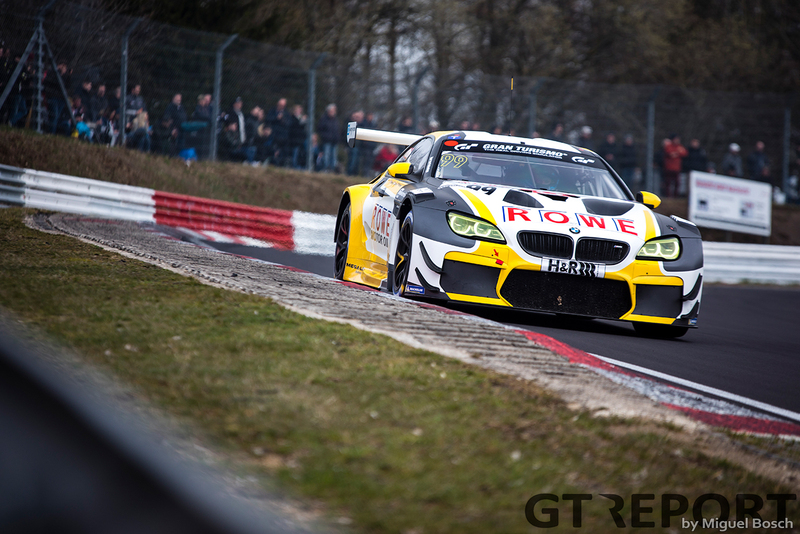 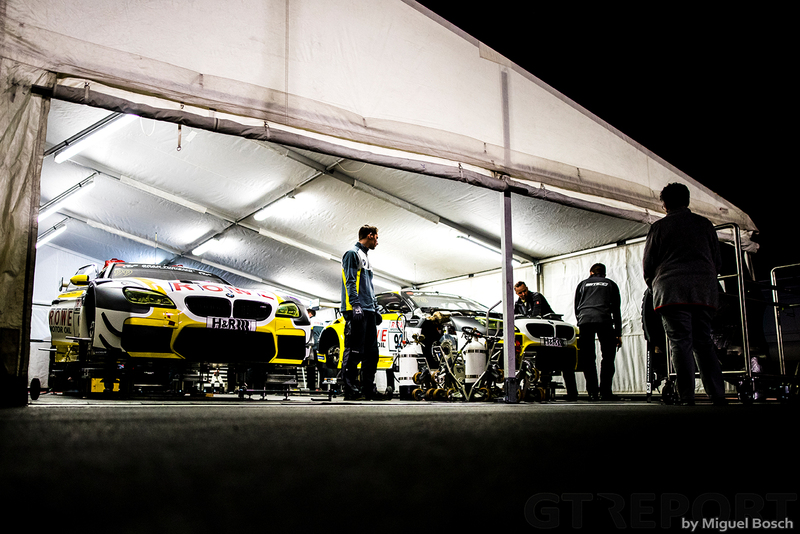 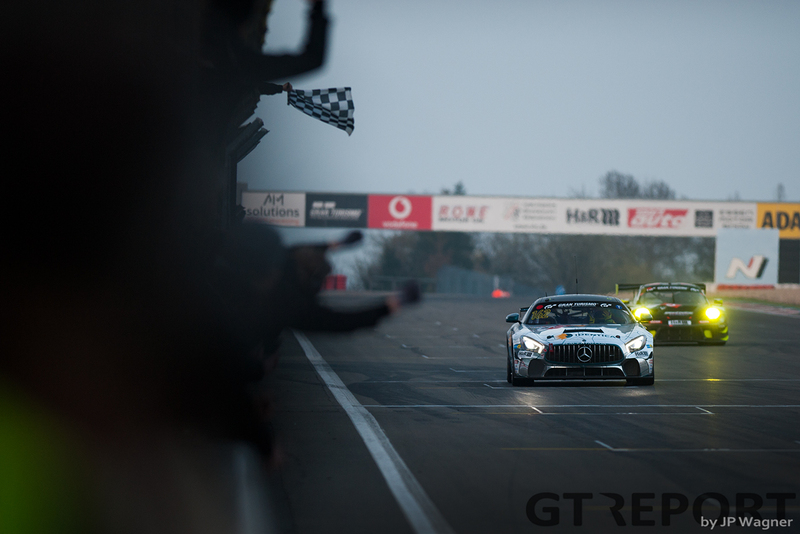 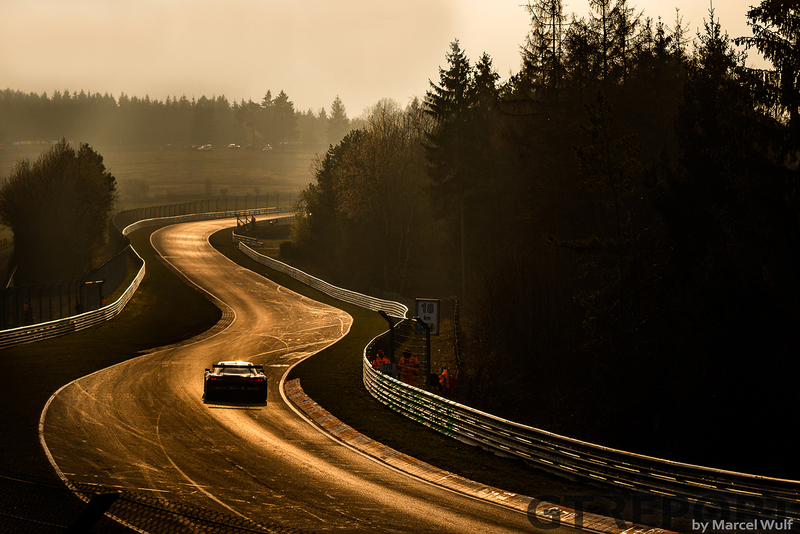 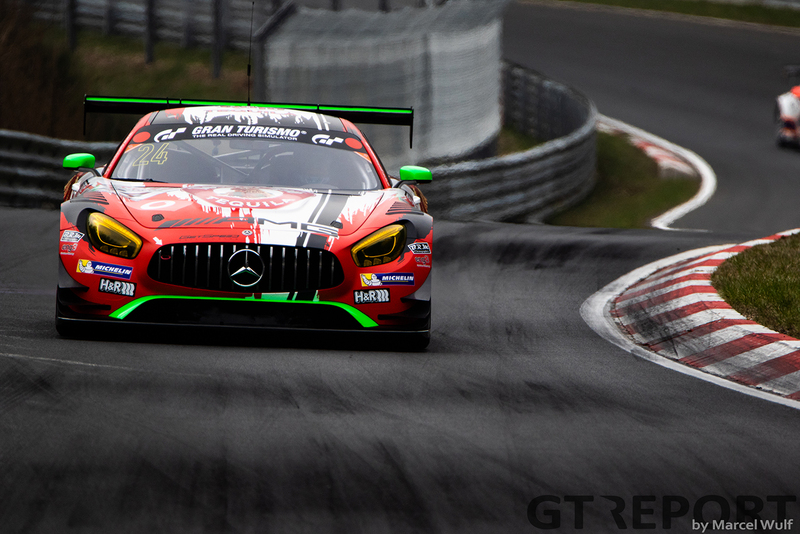 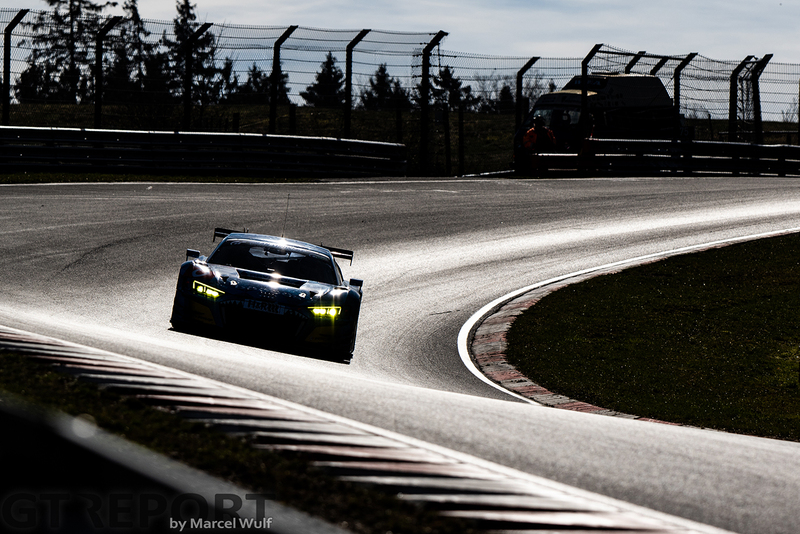 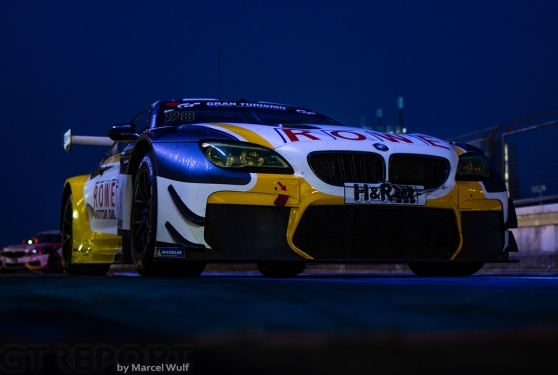 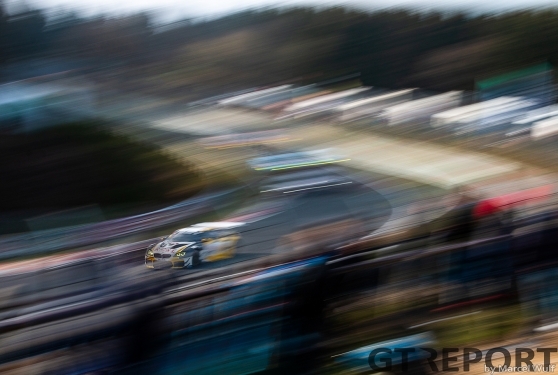 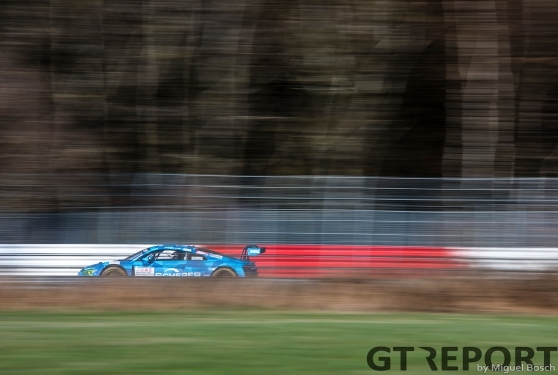 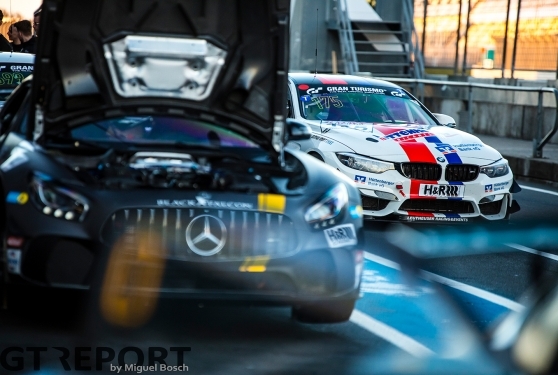 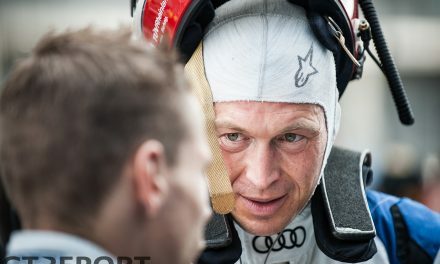 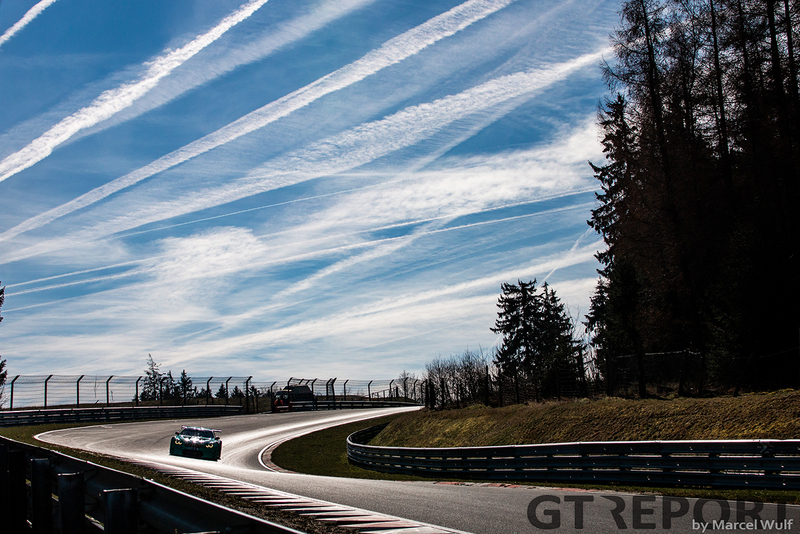 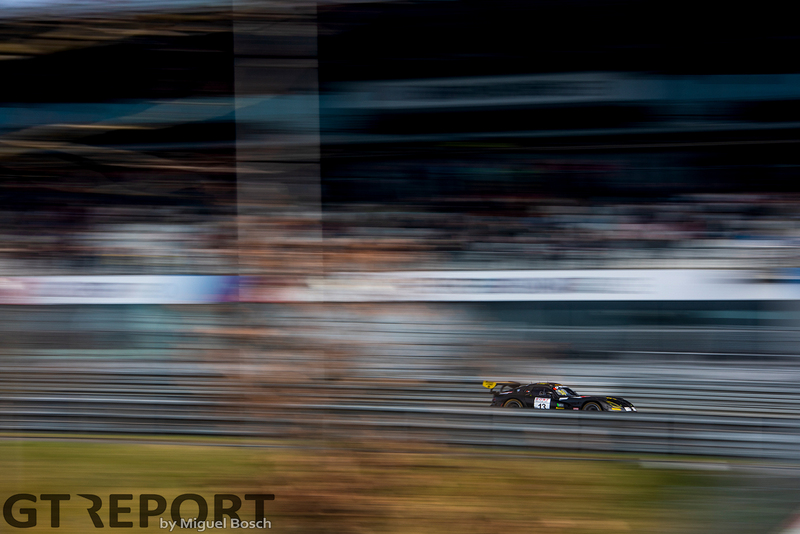 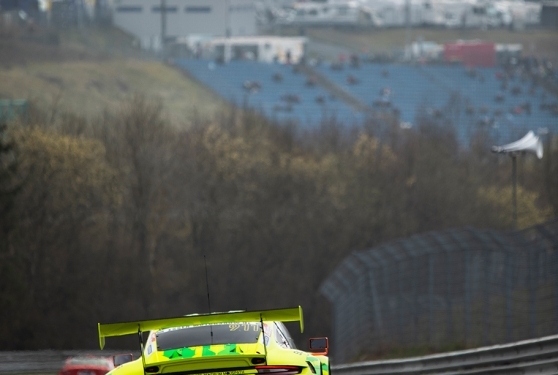 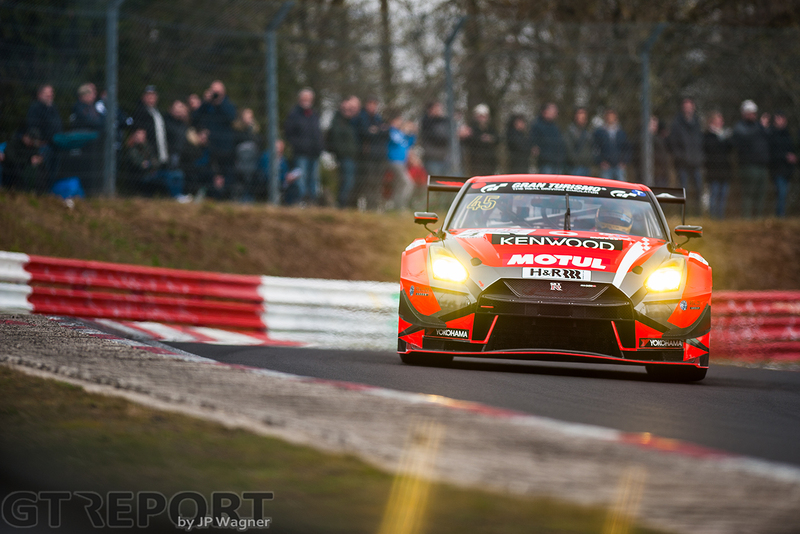 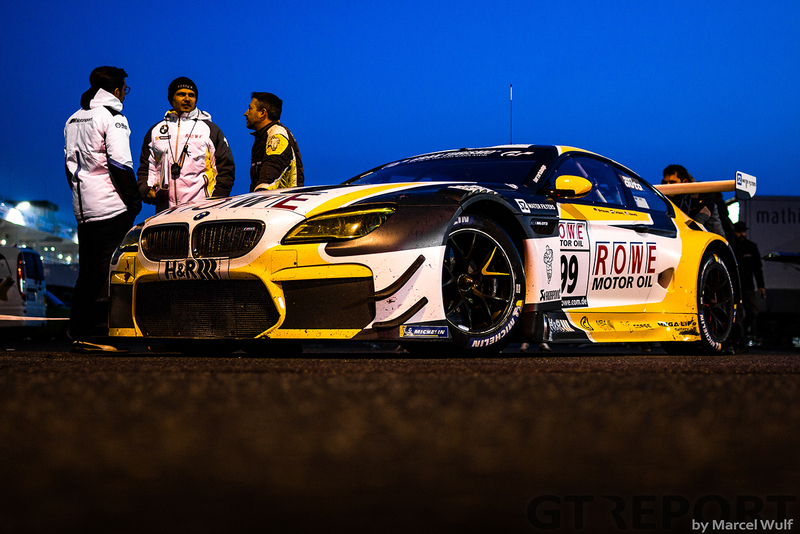 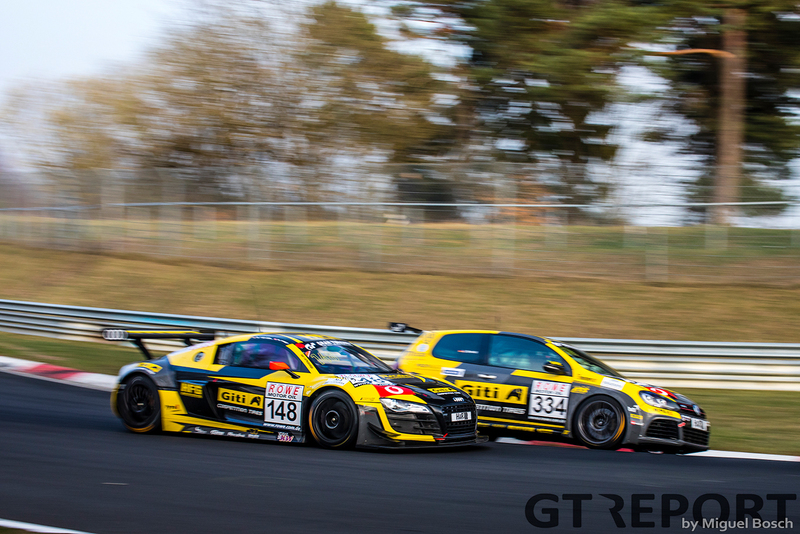 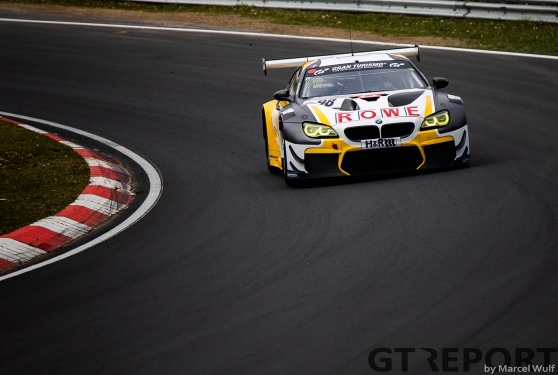 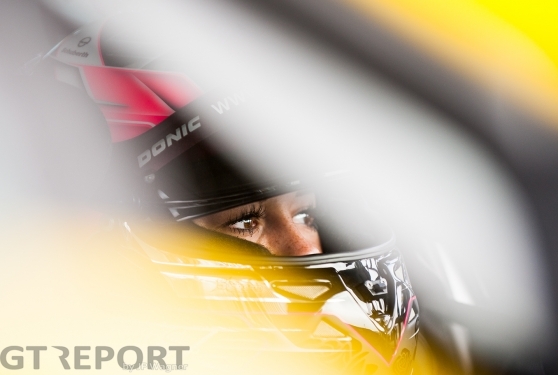 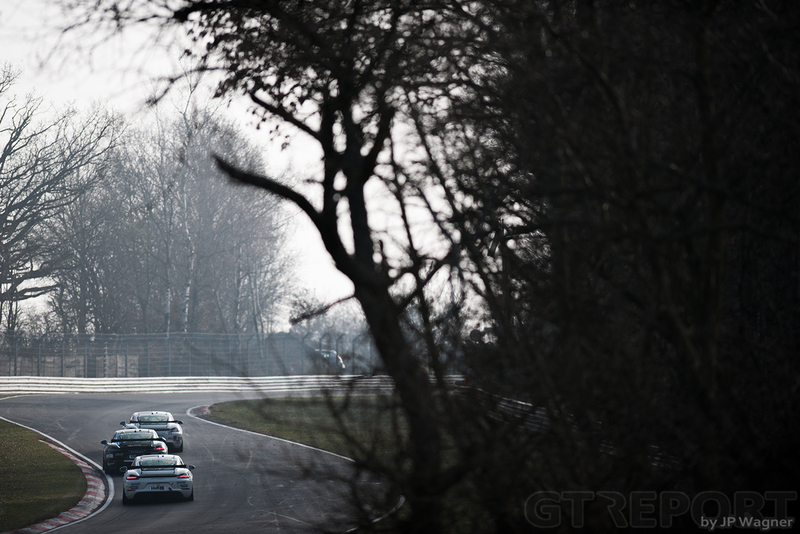 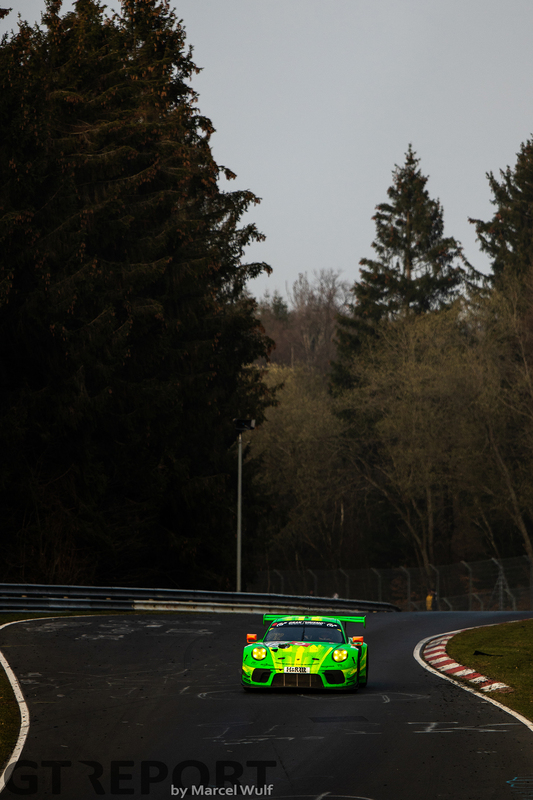 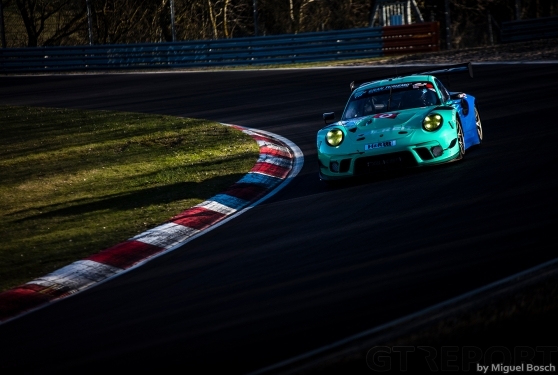 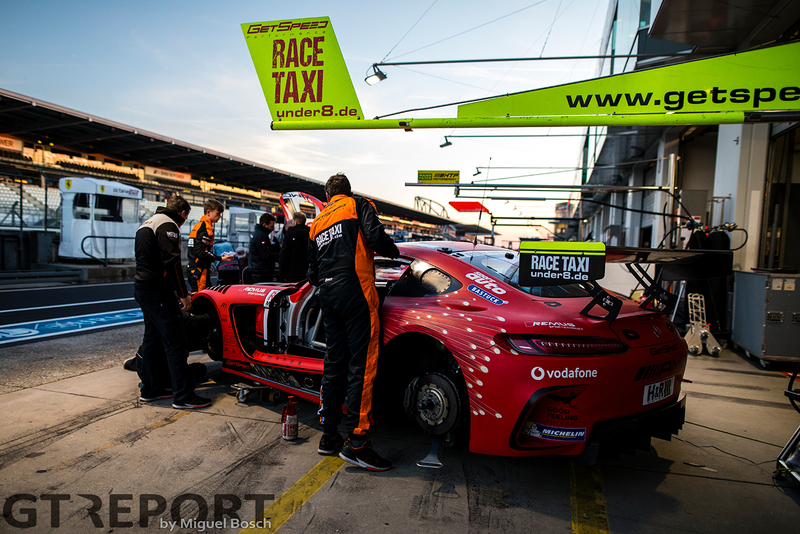 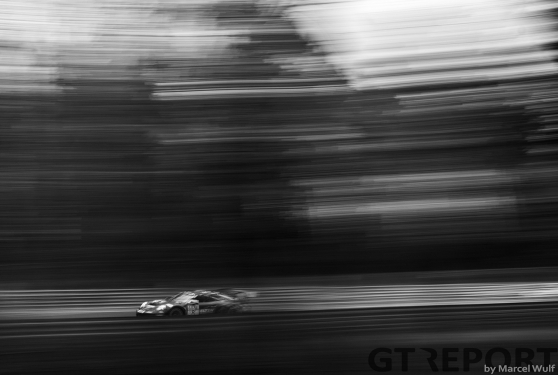 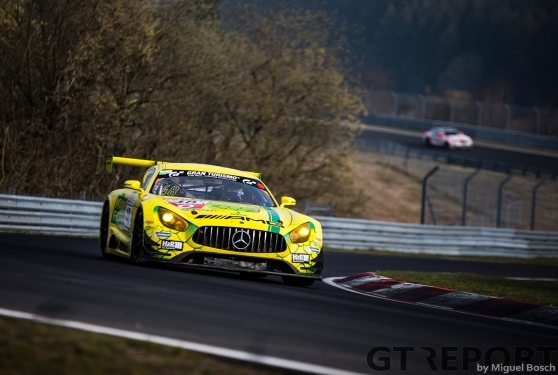 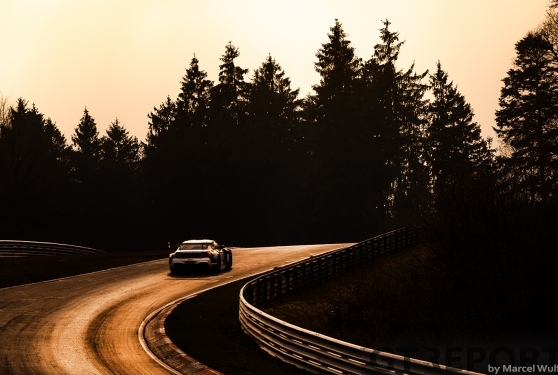 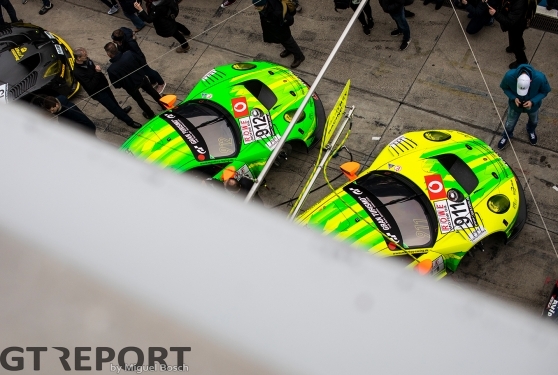 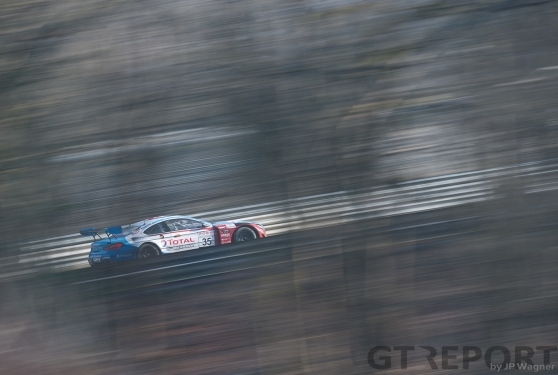 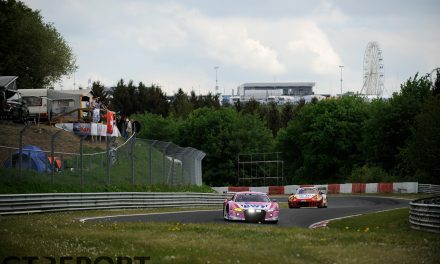 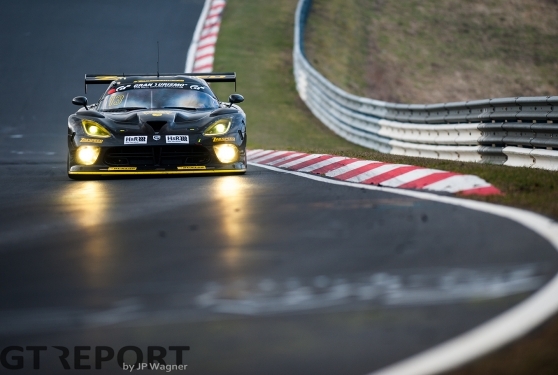 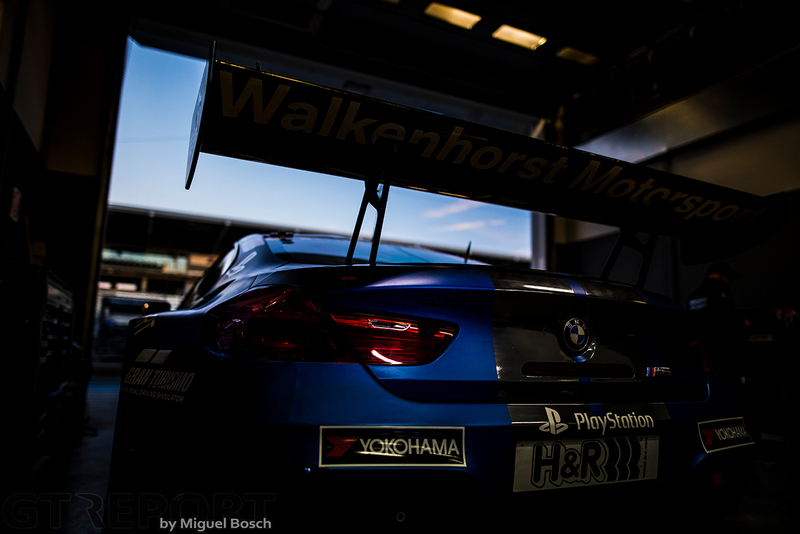 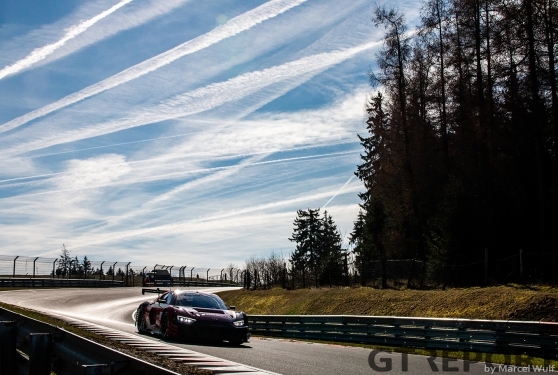 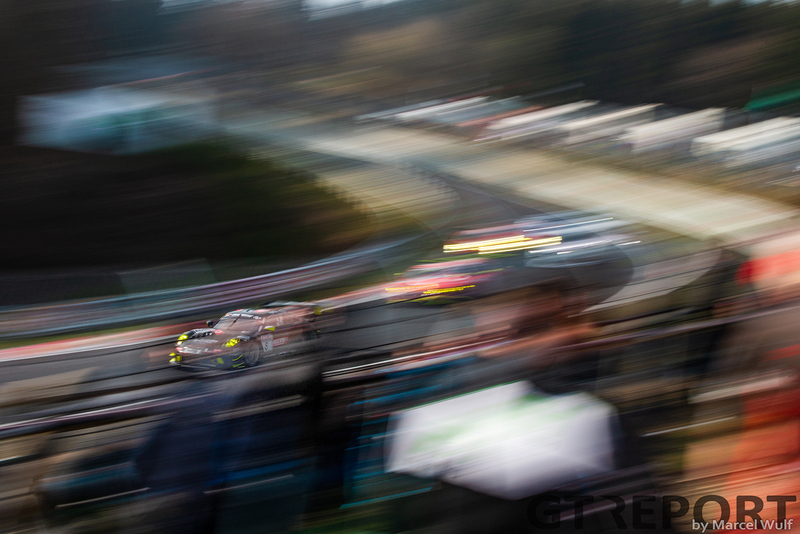 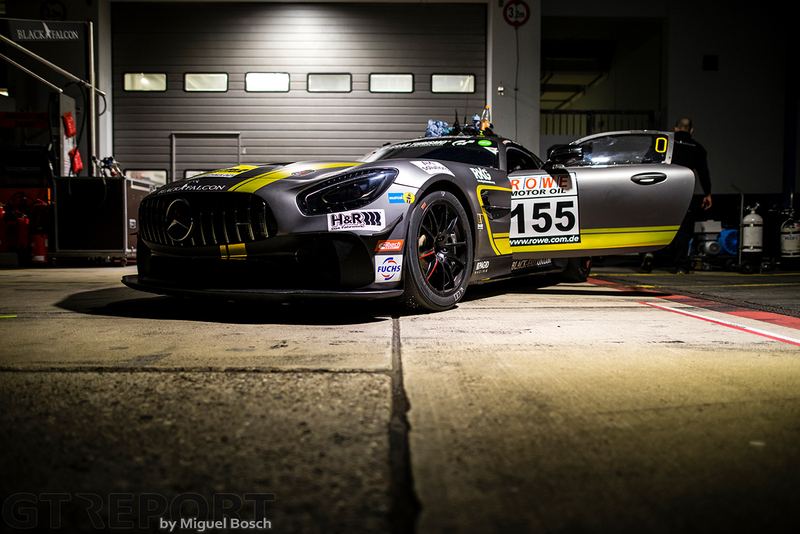 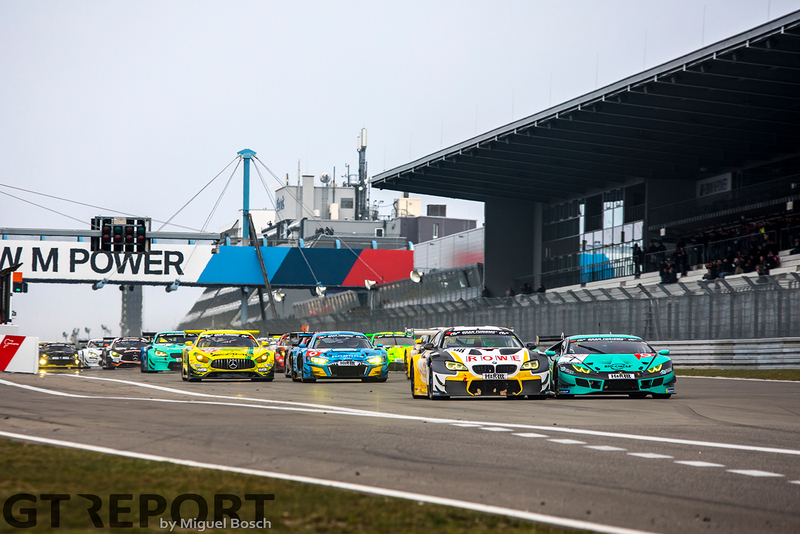 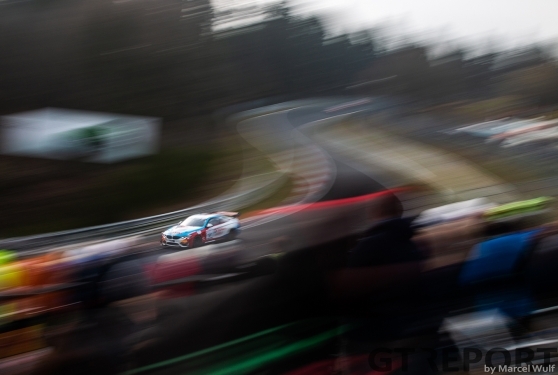 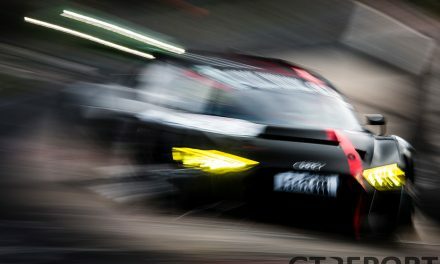 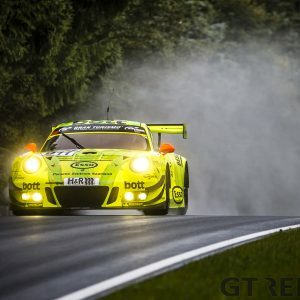 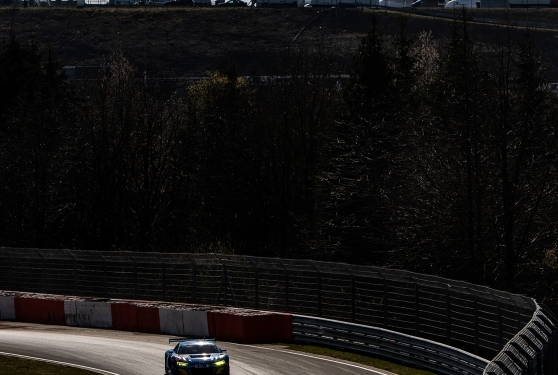 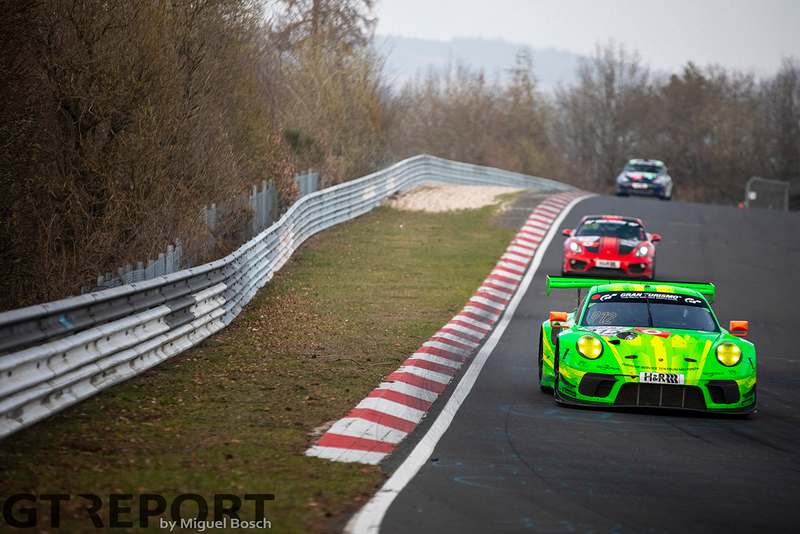 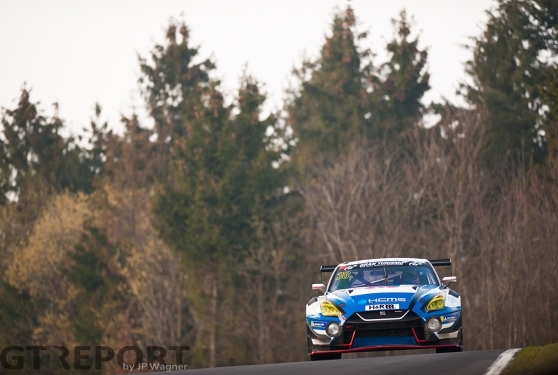 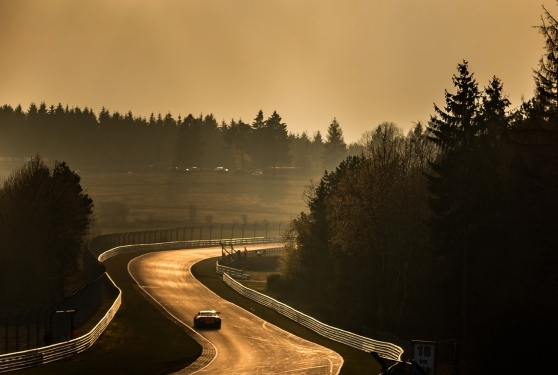 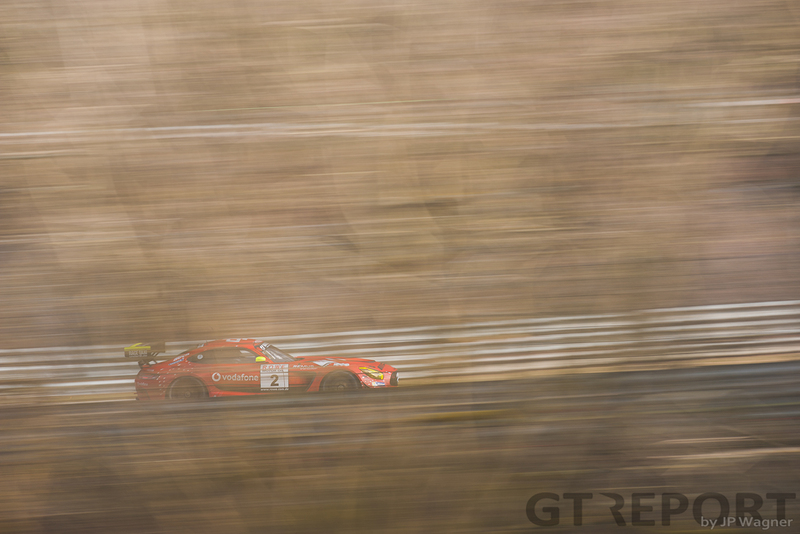 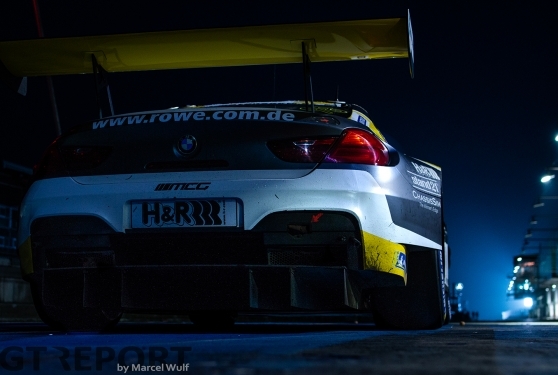 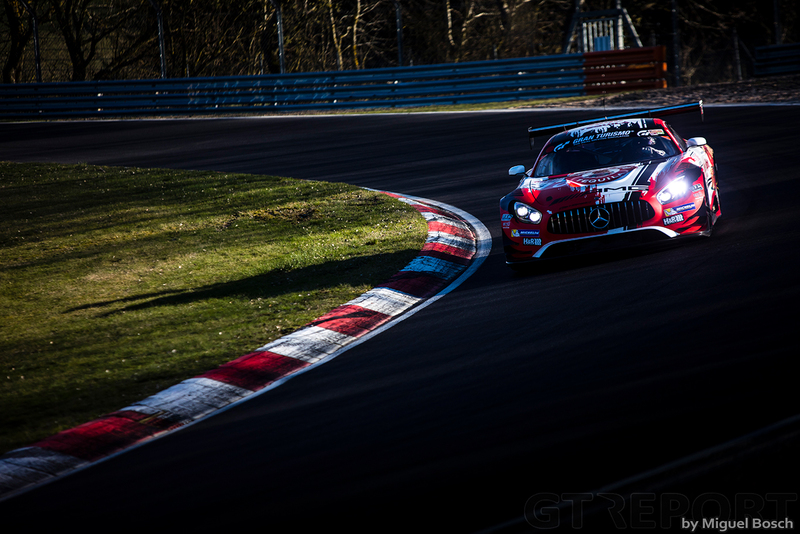 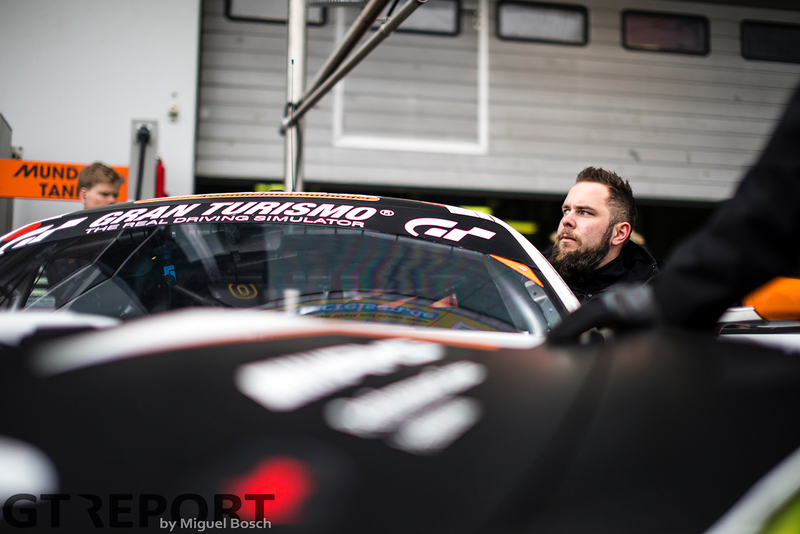 Despite a long fog delay, VLN1 finally got underway for a shortened 65. 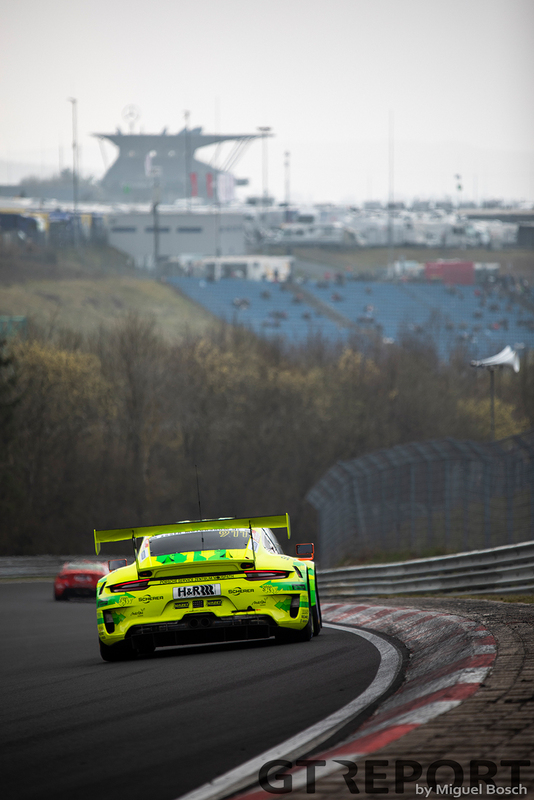 ADAC Westfalenfahrt. 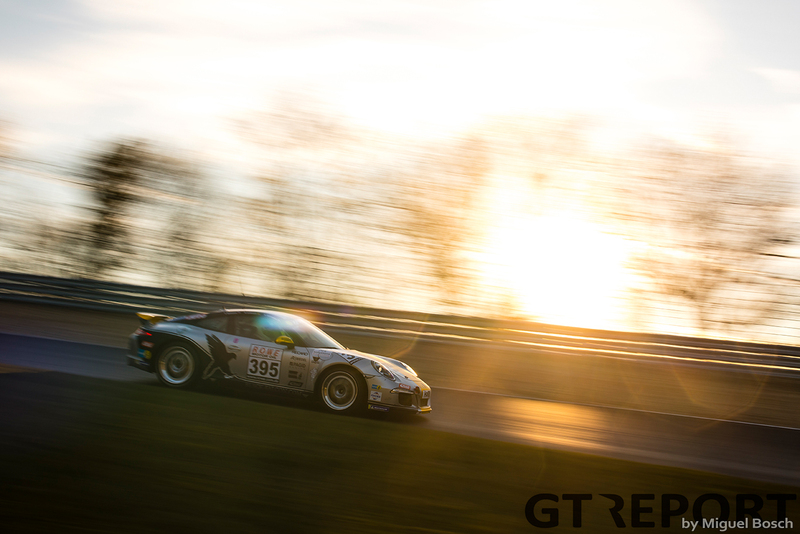 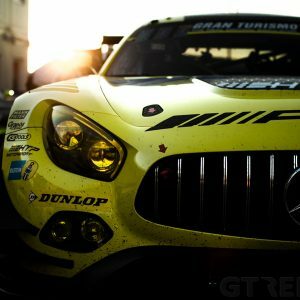 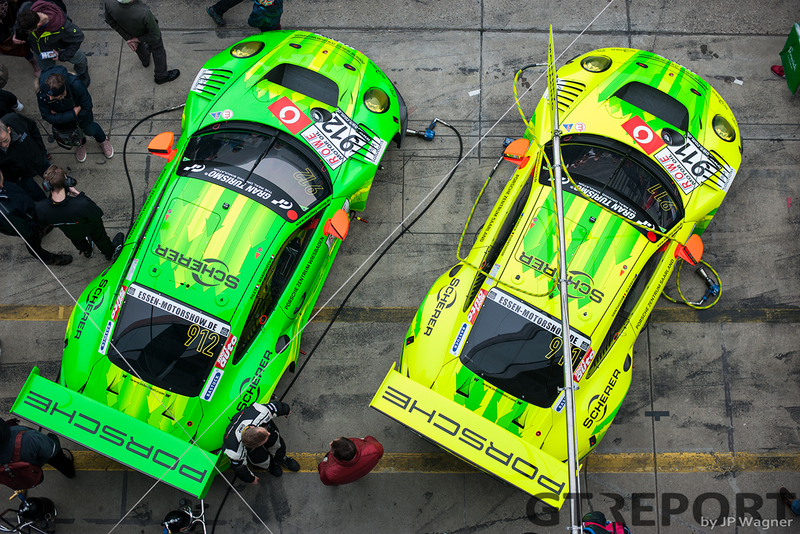 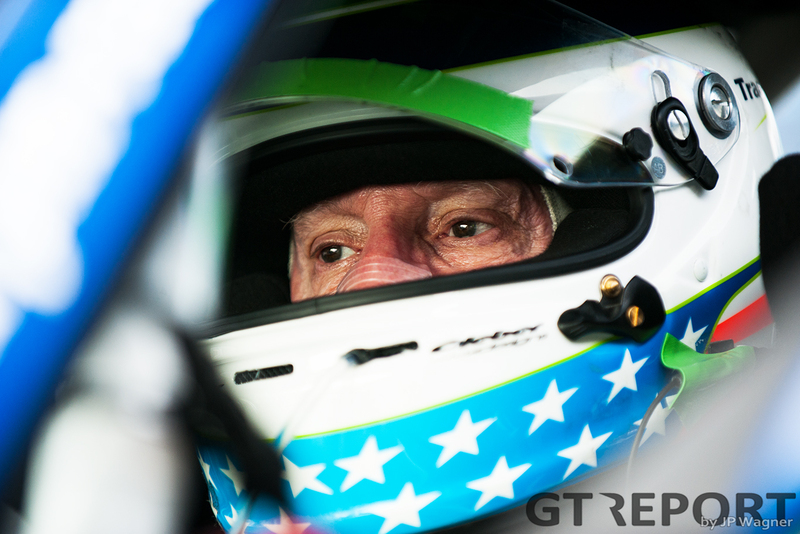 With a last-lap pass coming out of a Code 60 Zone, Rowe Racing beat Manthey Racing for the win.